A 42-year-old man arrested Friday on a murder charge is accused of shooting a man, cutting his throat and then storing the dead body in a 55-gallon drum in his backyard, according to court records. 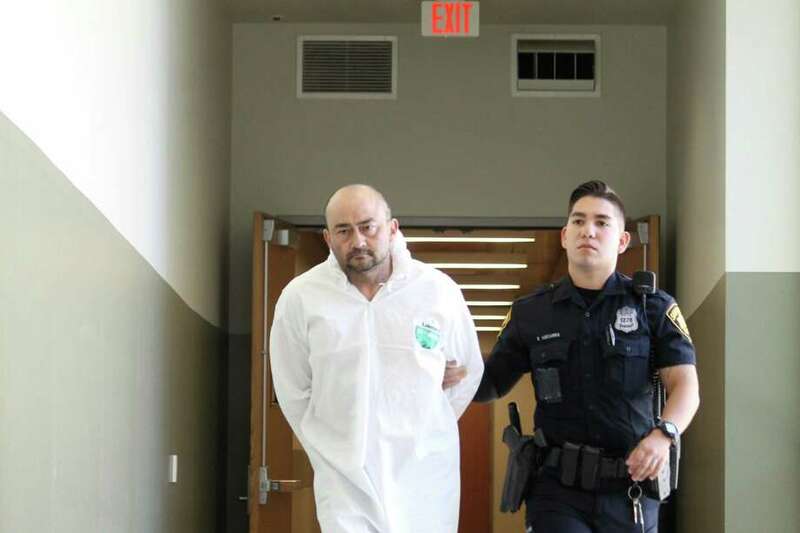 The suspect, George Oscar Pena, remains in the Bexar County Jail on a $150,000 bond. Police announced Pena's arrest on Friday, though few details on the accusations against him were immediately available. Now, his arrest affidavit is bringing to light the gruesome details of the killing he is accused of committing. On Friday morning a witness called police with information about a killing. She said she was with Pena when he allegedly shot the victim, identified as Juan Ramiro Ramirez, Thursday night at Pena's home in the 1600 block of Allende. She told police Pena stuffed Ramirez's body into a 55-gallon drum and asked her to help him get rid of it, according to the affidavit. The woman said she told Pena the tailgate on her truck wasn't working and left. She then immediately called police. Within 40 minutes police were at Pena's home asking to speak with him. Pena walked out and told an officer, "he needed to get something off his chest and what he did was wrong," the affidavit states. Police questioned him further and Pena allegedly admitted to "shooting and cutting the throat of" Ramirez and then storing the body in a 55-gallon drum and burning several items of evidence. The affidavit then reports Pena told police he believed Ramirez "befriended him and had stolen several items from his home in the past." Officers found the 55-gallon drum in Pena's backyard. Inside was Ramirez's body. Paramedics pronounced him dead just after 10 a.m.